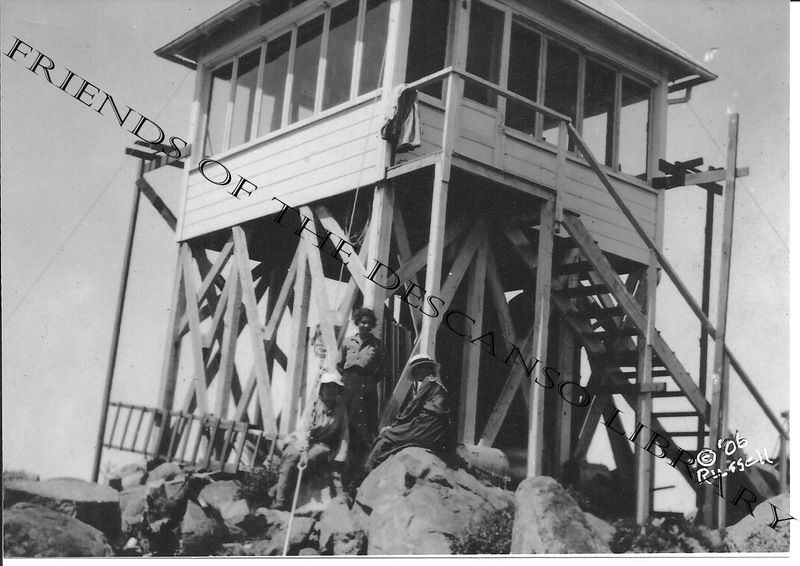 July 13, 1923: "Three youngsters of ages around 12 to 15 years worked industriously recently applying a new coat of paint to parts of the lookout station on Cuyamaca Peak, on the Cleveland. They did not do it willingly, either, and thereby hangs a tale. The job of painting was in expiation of an offense committed by these same youngsters several months previous in writing and carving names and initials all over the white paint of the station wherever they were able to reach. When the defacing was discovered, copies were made of the names and a report sent to Supervisor Boulden. He notified the boys and gave them their choice of restoring the station to its former appearance or going before the U.S. commissioner to answer charges of violating the forestry regulations. The boys elected to do the restoring. August 8, 1939: "Horace P. Houf, second lieutenant of the marine corps reserve, was killed almost instantly Monday when his single-seater fighting plane plunged in flames onto a hillside. Houf's plane set fire to a brush patch and was located by a forest lookout on Cuyamaca peak. The are is isolated, 14 miles southeast of here, and reports of the crash were held up pending an investigation. Marine headquarters said the pilot was on a routine flight. He entered the corps October 10, 1927. March 5, 1944: "A rescue party of 12 members of the San Diego unit of the national ski patrol, which left early today for Cuyamaca peak to haul fuel and food for two federal forestry lookouts, reached the snowbound pair tonight. 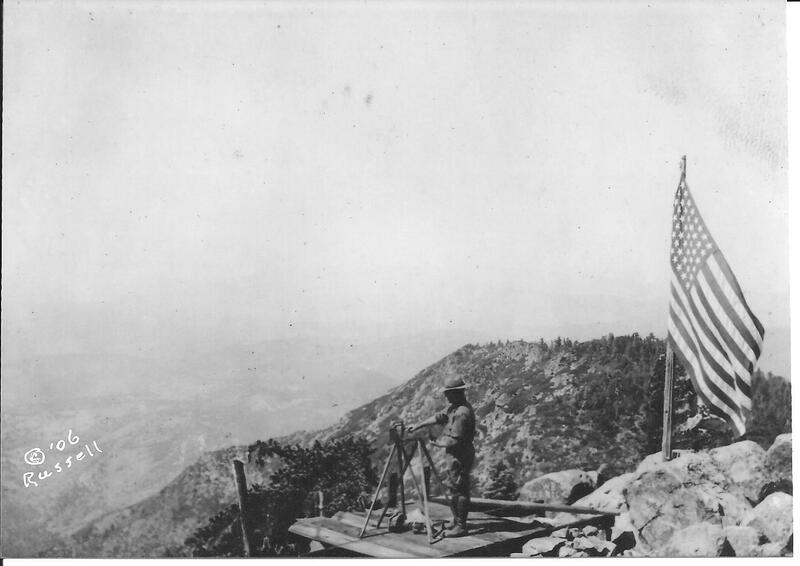 The relief party radioed to the Cleveland national forest office that they reached the two lookouts, Roy Pogue and Art Towne, after a rigorous seven-hour trip. The message stated that the marooned pair still had ample food and fuel on hand. from 1908 into the 1930s and 1940s. I've been researching the use of heliographs by the US Forest Service. the larger of the two types commonly used by the US Forest Service.